We learn, build, and develop – together. We are a team. 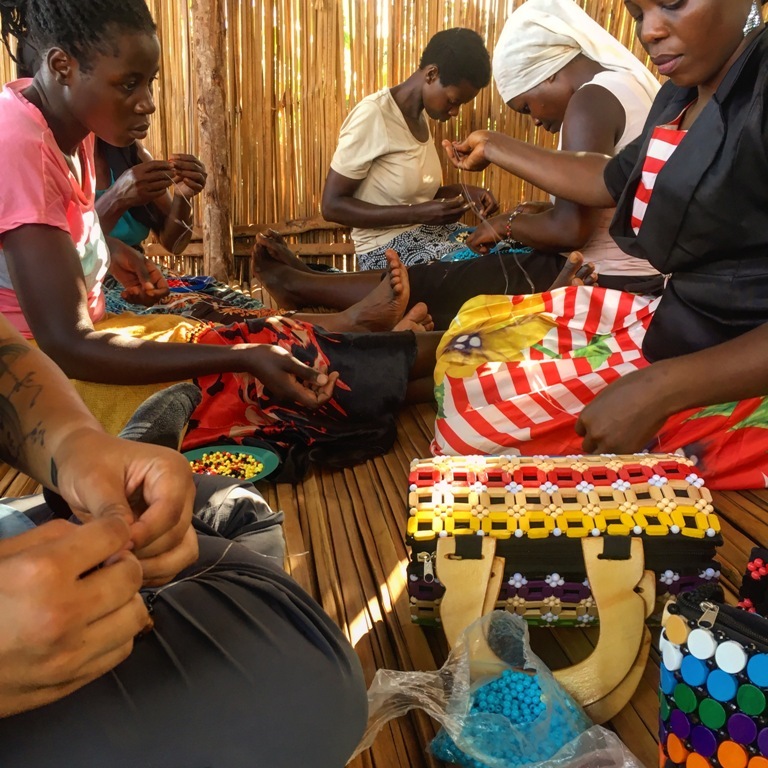 If you can spare 2 to 12 weeks, The Real Uganda has volunteer placements with locally-led, community-based initiatives, located in south central Uganda. The organizations we work with provide primary education, community empowerment, public health services, and modern agriculture techniques in their own communities. They support real people – improving their lives, on their terms. Each of our partner organizations want volunteers who will bring new ideas, adapt to local conditions, and have a positive, collaborative attitude. 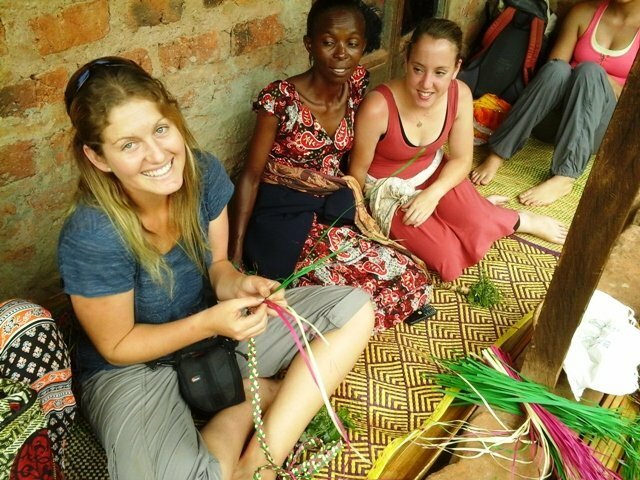 The ideal volunteer will deeply experience our culture, gain first-hand experience working with local communities, and share the triumphs and frustrations of daily life in Uganda. As a result, we learn, build, and develop – together. We are a team. All placements begin on the 1st and 15th of every month and range from 2 to 12 weeks. Our volunteers join in on the ongoing work of our local partners. Tell us your skills and interest in Uganda and we’ll find an appropriate Ugandan-led program seeking help. I am Ready, What Happens Next? International volunteers complement local staff, and provide cultural exchange and life skills to children, youth, and adults. Your new ideas can be very effective out here. Imagine an area where people are not encouraged to work together, or rarely believe they can achieve good things. Volunteer presence and care helps build self-worth and confidence in our communities. Basic information on conservation, hygiene, nutrition, income generation, and early childhood development is also needed. 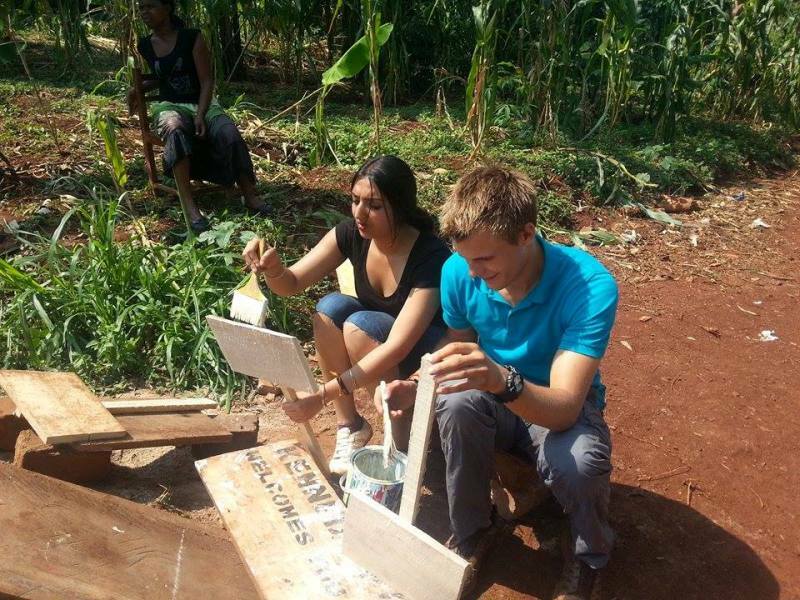 Besides, Ugandans are known for their hospitality and absolutely love working with international volunteers. It’s all about group solidarity, team building, and shared leadership. Not to worry, you also get something out of it! Who doesn’t love meeting like-minded people from all over the world, learning new cultures and ways of doing things, and getting a meaningful, yet adventure-filled break from normal life? Where Do Our Volunteers Work? Our headquarters are in Mukono Town, the capital of Mukono District. Mukono is located on the Kampala-Jinja highway about 20km east of Kampala. With a population of over 60,000, Mukono has many internet cafes, a major university, restaurants and drinking spots, supermarkets, and a decent hotel with swimming pool and gardens. Mukono is easily accessible from all our volunteer placements by public transport. It takes about 60 minutes to get to either Kampala or Jinja, which are good places to get specialized services or have some fun. Our volunteers live and work with a variety of village-based organizations and schools in Mukono, Buikwe, and Kayunga Districts. No matter where you volunteer, you’ll likely use Mukono Town as your base for services and meeting other volunteers. In Mukono Town we operate a 6 bed guesthouse for the use of all our volunteers during orientation and on weekends. Our home is within a private, leafy compound, and has running water and western toilets. Local Ugandan food is served daily. Our programs are ongoing and our partners host volunteers year round. However, to ensure smooth transition, volunteers must arrive around the 1st or 15th of the month. We have a 2 week minimum and 12 week maximum. Longer stays are considered on a case by case basis. The Real Uganda is a non-profit organization. However, there are costs involved in hosting volunteers and in supporting our partner organizations. • a donation to your host organization. Besides covering your basic expenses, our fees ensure our partners can do the work their communities request. Program fees also allow us to monitor partner progress, guide and advise current volunteers, and seek new volunteers for work in Uganda. The fees do not cover airline tickets, visa, vaccinations, drinking water, leisure activities, or medical services. But we’re happy to help you make these arrangements. In addition to your program fee, you’ll likely need $20-$40 a week to support a basic life which includes drinking water, internet, transportation, and a few treats such as coffee and chocolate. Wild life Safari, white water rafting, and general travel are a bit more expensive. Check out an East Africa or Uganda Travel Guide for options and costs. “I went to Uganda for 8 weeks on my first trip leaving North America. The Real Uganda/Leslie supported me through from my first few days to my last, and helped me adjust to a new way of life! I worked as a health educator in a rural community training leaders who are responsible for households in their village. We discussed topics like sanitation, nutrition, HIV/AIDS, domestic violence, and family planning. Along with the topics we were able encourage community members to build plate stands and vegetable gardens by giving demonstrations in the village. I grew stronger as a person during the challenges of living and working in as a global volunteer. I really had to put myself into the way work gets done in Uganda because of the different values and customs in another country. I understand now how much culture influences the way we think. I also learned a lot about sustainable solutions and community empowerment which is something I hope to use in my career one day. I was able to do some tourism and fun activities on the weekends when I wasn’t working. Uganda has amazing things to see and do. Somehow I found myself swimming down the Nile River in the middle of Africa without a worry in the world! It was awesome. 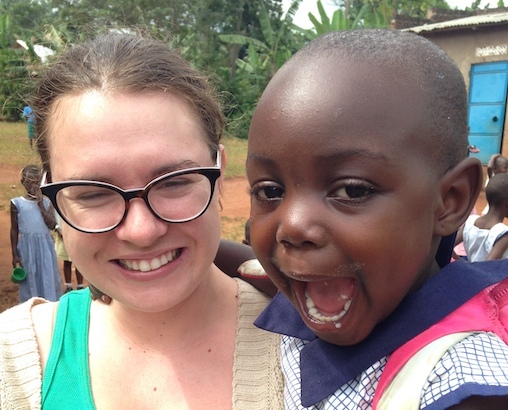 “I volunteered with the real Uganda in October of 2017. I was there for a little less than 2 weeks and I volunteered with the Hope line Organization. I have always wanted to volunteer in Africa, and I wanted to find an organization that truly helped out the local community and knew precisely what the locals need/want. Initially contacting Leslie, she answered all my questions and put to bed any hesitations I had about volunteering for an NGO that doesn’t have their foot on the ground and understands the local populace. Even though Leslie is what they would call a “mzungu,” she has lived in Uganda for over a decade, thoroughly vets all orgs she puts her volunteers in, and really really genuinely cares. 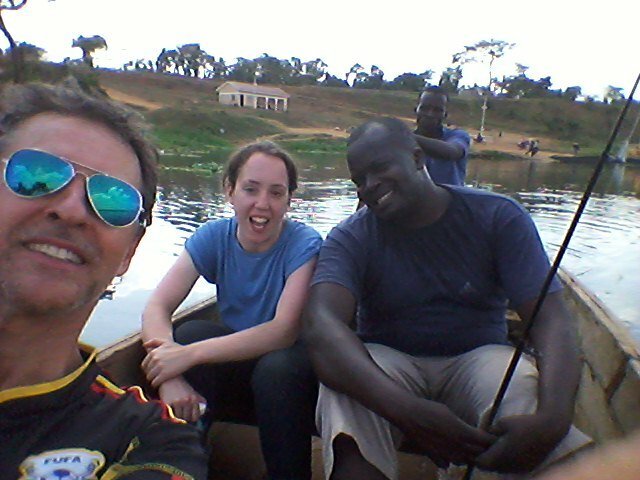 Upon arrival, Leslie helped settle me in and introduced me to Uganda. She set my expectations and explained what was going to happen throughout my two weeks in Uganda. Additionally, prior to my trip, I found The Real Uganda website to be incredibly helpful!!! I packed according to tips on the website, and read as much as I can about the culture and people of Uganda. On my second day, I was introduced to my host and director of Hopeline, Tony. Tony, his wife Doreen, and his family were amazing hosts, and treated me as if I were family. During my stay with Tony, I went to the school, helped out at the medical clinic, and hung out with the women’s group. All and all, I wish I could have spent more time there. I felt that I barely scratched the surface with my interactions with everyone I met, Tony and his family included. To add on to that, I had to leave a bit early from my experience due to work. Enter your email and we'll send you some! While our programs are popular, we do have a streamlined application process. You can apply just weeks in advance of when you wish to travel. Fill in and submit the online application form. This helps us learn why you want to volunteer, when you intend to begin, and how long you wish to stay. We do our best to reply within 48 hours. Our introductory email proposes a host program, matched to your skill and interest. It also attaches a set of “extra questions” for you to answer. This information helps us all decide if we are a good fit to work together. Upon receipt of your answers to our extra questions, a volunteer placement offer will be made if your answers align with our objectives. We tend to look for a positive attitude, flexibility, and willingness to learn over a specific skill set. In order to accept our offer and secure your placement, we require a $200USD non-refundable deposit. The deposit is applied to your total program fee. Should you have to adjust your start date, your deposit can be used toward a new placement beginning up to one year from the date your deposit was paid. We require at least one month notice if you wish to use your deposit for a new placement. The Real Uganda uses PayPal to ensure safe payment of all fees. Once we receive your deposit you’ll be given a multi-page orientation document and description of your host organization. Included are details of your work, responsibilities, security, location, food, accommodation, vaccinations needed, and where your money goes. You’ll also receive our general waiver of liability and code of conduct to be signed on arrival as part of your volunteer service. Upon request, we’ll connect you with former volunteers. We answer all your questions to get you prepped for life in the Ugandan village. We do this through email and live chat. You can also check our Resources section for advice, tips, packing lists and more. Your program fee balance comes due. We’ll send out a new payment request through PayPal. We’re now ready for your arrival. You’ll receive a group email that introduces you to our other new volunteers and outlines everyone’s arrival and first few days in Uganda. We’ll also give you step by step info of what to do when your flight lands at Entebbe International Airport, including clearing customs, collecting luggage, and changing money. Our driver will be at the airport to collect you. Together you’ll travel to our Mukono Town volunteer guesthouse, where we’ll be waiting to welcome you! Orientation is fun and interactive. It includes a walking tour of Mukono Town. We’ll help you connect a local phone line and internet data package so you can keep in touch with everyone. We’ll also do some last minute shopping. Our general waiver of liability and code of conduct are explained and signed. Orientation ends with personalized discussions about how best to get settled and start volunteering. The next day you’ll be delivered to your new home. You’ll meet family and co-workers and get a chance to unpack and rest a bit. What Happens After I arrive? We want you to get the most from your time in Uganda. You should expect to start volunteering almost right away. We keep in touch with you via Whatsapp, text message, phone calls, and site visits. In addition, when you’re not traveling, you may choose to spend weekends at our volunteer guesthouse. We’re here to answer your questions about anything that comes up: culture shock, volunteer work, health or accommodation issues. We’ll even help you plan your weekend leisure activities. We’ll also connect you with new volunteers as they arrive. The Real Uganda is on the ground to support you while you settle in, get down to work, and build your life in Uganda!